Losing text messages may happen to anyone, no matter the device is running on iOS (such as iPad or iPhone) or Android. And there could be a wide variety of reasons involved from accidentally deleting text messages to rooted or broken phone. Here we explore some of the top methods to recover deleted text messages. Depending on phone service provider and territory, text messages backup could be accessed through iCloud account. So the best way to learn if this method works is to sing in to iCloud and see if the SMS option is there. After making sure the text messages are there, users need to turn off and on Text Messages option in their iCloud settings in their iPhone. Next, selecting the ‘Merge’ makes the iPhone to get back the deleted text messages from iCloud. This is another simple technique to restore data including text messages. Simply connect the phone to the computer and open iTunes. Clicking on the ‘Restore’ button will cause the current data on the device to be replaced with the formerly backed up data. Please note that this method doesn’t work in case that text messages aren’t automatically backed up. Some phone service providers save text messages of their users which could be accessed later in case of any necessity. In order to do that, sometimes the customer service should be contacted. In some situations getting back SMS is as simple as signing in to the specific user account provided by the company and finding them in the proper section. For many some or all of the above options may work. For other users the best way to get back deleted or lost SMS is to get use of special applications which are able to recover any files and data (including text messages) from tablets and phones internal and external memories. Below are a few of the top Android and iOS recovery products available on web. 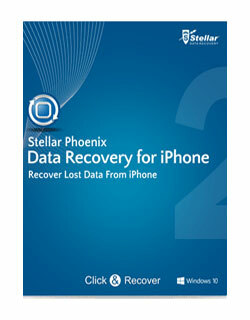 Data recovery programs by Stellar Phoenix are among the best products in the market using for data rescue purposes. 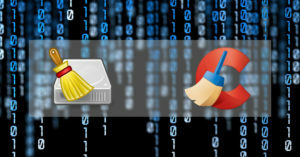 Previously, computer files recovery version of the software has been reviewed on TechaLook. Similarly, Android and iPhone editions of this powerful program offers great tools and options to take back SMS, contacts, images, videos, call history, and so on from the smartphone or tablet external or internal memory. The Android version of Stellar Phoenix could be downloaded for free from Google Play Store. The iPhone version (supporting iOS versions 9.0, 8.4, 7.x and 6.x) which is also capable of getting back data and files from iCloud & iTunes backups could be purchased with the price of $39.99. The useful program by Wondershare provides lost and deleted messages recovery options along with other data such as video files, photos, calendar, MMS, etc. Dr. Fone could work for all Android and iOS devices (such as iPhone, iPod Touch & iPad). In addition to retrieving from the device, iTunes and iCloud backups could also be used for taking back lost data. 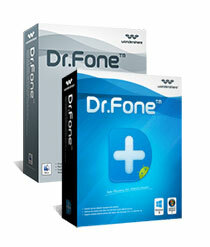 Dr.Fone supports Windows and Mac systems. It costs respectively $49.94 & $59.95 to install and run the program on those popular operating systems. 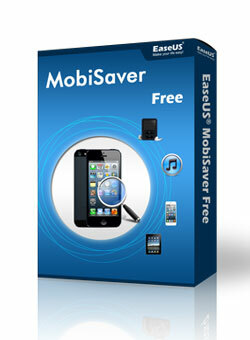 This recovery tool by EaseUS also works great for all iOS devices and Android smartphones and tablets. Text messages along with other data types from images to contacts which have been erased accidentally or manually could be undeleted with the help of MobiSaver software. Users should pay $59.95 for using the program on their computer running with Windows OS. Mac OS X users could use the program for $79.95. Using the latest restoring technologies, iMobie PhoneRescue is another great application enabling users to get back text messages (along with the picture and video attachments), call history, MMS, calendars, notes, contacts, photos, videos, etc. from their iPhone smartphones. 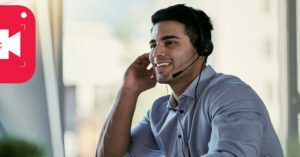 The software also offers preview options so that users are able to see conversation texts in threads and select the ones they want to be retrieved. The software is able to retrieve data from the device itself, iCloud backup or iTunes backup. 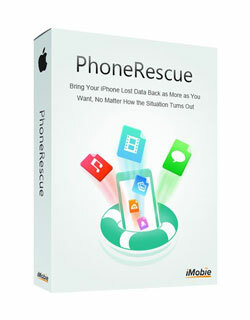 Users need to pay $49.95 to buy a personal license of PhoneRescue which provides iPhone recovery options for using lifetime. Both Mac and Windows computers are compatible with this program.